Two of the Feathered Star/Sunflower blocks are complete and a third is almost finished. After the third one is done, I’ll be only able to complete the stars without the setting squares and triangles as I’m waiting for more of the white fabric. I’ll get the remaining stars ready so that when the fabric arrives I can quickly add the setting pieces and then start working on the border. Along with working on a Feathered Star block Wednesday night, I got some more of the blades for the Dresden Plates cut as well as a couple of the arcs for the Pickled Ladies. Wednesday it rained — again. We seem to have had nothing but rain since Saturday and they say we’ll have rain until this Saturday. That will be almost a full week of rainy, rather cool weather. I can’t wait for a couple of sunny warm days. Wednesday night the fog was really pretty — the lights remain on all night in the offices in the tower across the roof garden, which seems incredibly wasteful, but they looked rather intriguing when seen through the fog. Smudge was posing for the camera. I love these blocks! They are so pretty. The red and white is stunning. I hear ya on the rain. We have had so much rain here in Michigan that both of our homes now have leaks in the basements. It’s discouraging because we can’t get them fixed until it stops. I too, am looking forward to some wonderfully warmer days and sunshine….though I may have to go to another state to find them. The red and white stars are beautiful! 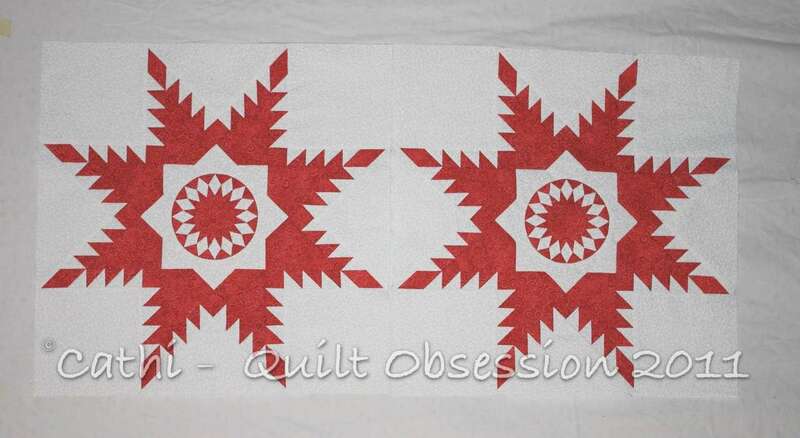 I am resisting the urge for a red and white quilt start, but who knows what may come? Smudge does indeed look regal. He could be posing for his bust. Oh Cathi, these leave me breathless. They pull you in and invite you to sit and study. For me, this is a sign of a classic quilt. Timeless. Can you please send us some of your surplus rain? I think nature has forgotten us, it’s very dry here! We had three flood warnings last year, but this year has been much drier. Lovely red and white blocks…..very Canadian! Hello to Smudge. You make the most beautiful blocks and are always an inspiration to me. Lovely blocks and I loved the blocks in the prior post too but forgot to say so LOL. After 2 weeks in Seattle with lots of rain it’s nice to be home to some sunshine….at least until tonight. Your feathered star blocks are just spectacular! I love the centers. 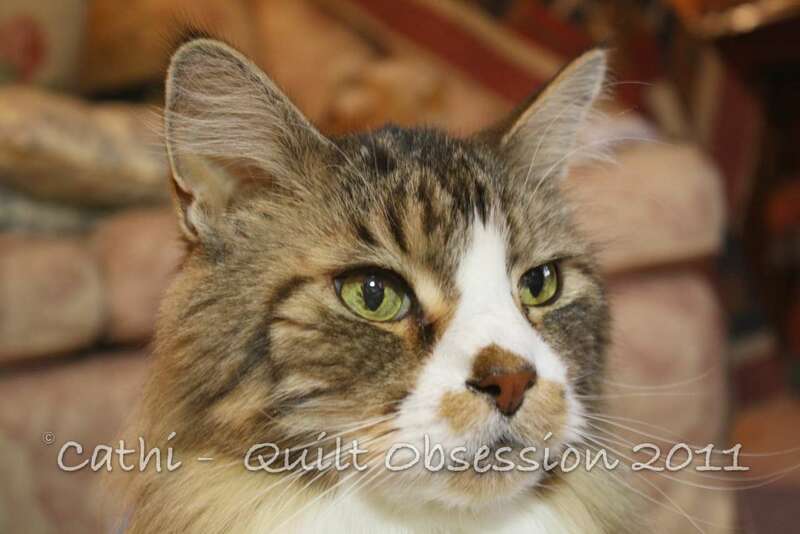 I am writing a magazine article about the red and white craze and people doing red and white quilts because it inspired them, and I came across your delightful blog. Good red and white stars. Love the center.